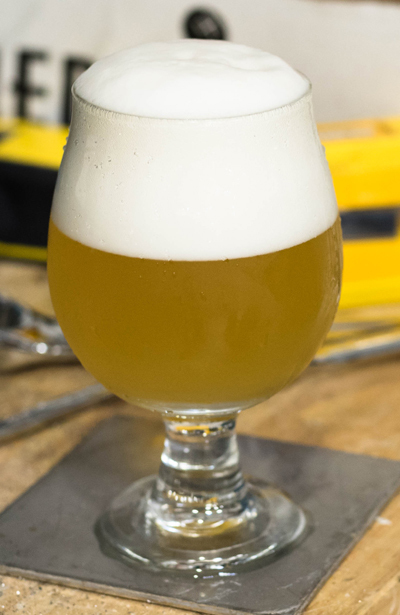 The Mechanic is our interpretation of a rustic farmhouse saison brewed for the hardworking farmhands of northern France and southern Belgium. Brewed with raw and flaked wheat, flaked barley and flaked rye for body and character, fruity and spicy hops and the intriguing Old World Saison blend of yeast from Escarpment Labs. This beer is bright fruit, lemon, and spice on the nose, with a nice cereal grain flavour mingling with the hops and yeast, and it is bone dry with a firm bitterness.